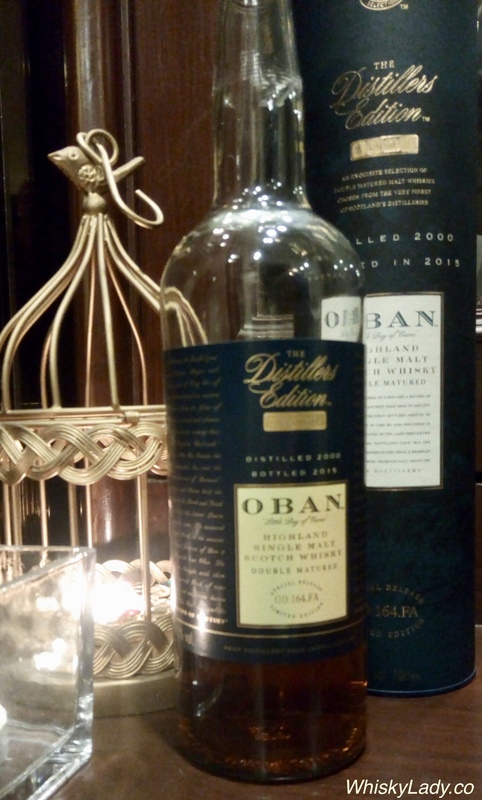 First up in our “Sherry Element” evening was Oban… yes Oban… with a Montilla Fino finish. Our original club kept to its preferred tasting approach of sampling completely blind. In this case, the reveal waited until the very end after sampling all three whiskies. The aroma came on with a decent strength initially, then quickly dropped and became muted. As for its character? We found it quite straight in, straight out. Young, sweet and largely remains on the front of the tongue, with a bitterness on the sides. And when we revisited after nearly an hour? Discovered it made it much more approachable, hardly any bitterness remained and oddly came across as almost oily. Alas all the aromas we found earlier were elusive. Yet overall with extra air it became quite drinkable. With the reveal there was surprise. 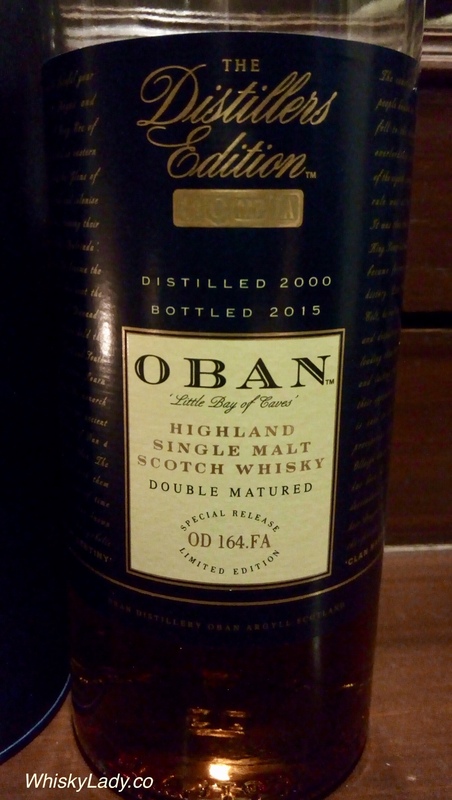 There were certainly a few who have fond memories of Oban 14 year as being reliable bar stock. Even our host admitted to being a tad disappointed… as clearly had expected more… and yet the revisit certainly showed it is not too shabby after all. The Western Highland style of Malt is epitomized by Oban’s gentle sweetness and surprising richness of palate and finish. The pettiness of the Islands it faces across the Firth of Lorn is softened by the influences of the Highlands at its back. To underline its sea-laced flavours, Oban’s Master Distiller has chosen Montilla Fino. This dry, delicate cask-wood beautifully enhances Oban’s distinctively graceful style. What did we sample in our “Sherry Elements” evening? This entry was posted in Highland, Scotland and tagged Fino Cask, Oban, Oban 2015, Oban Distillers Edition (2000/2015) Montilla Fino by Carissa Hickling. Bookmark the permalink.